LONDON/NEW YORK (Reuters) - British bank Barclays (BARC.L) may not pick its next chief executive until early next year, potentially leaving new Chairman John McFarlane in charge for at least eight months. McFarlane fired CEO Antony Jenkins on Wednesday and said he was in no rush to name a successor and will conduct a global search of internal and external candidates. He told staff the appointment may not take place until the spring, according to comments made at an employee meeting, people familiar with the matter told Reuters. The new chief executive could be named at the tail end of this year but it was more likely to be in February or March, another person familiar with the matter said. 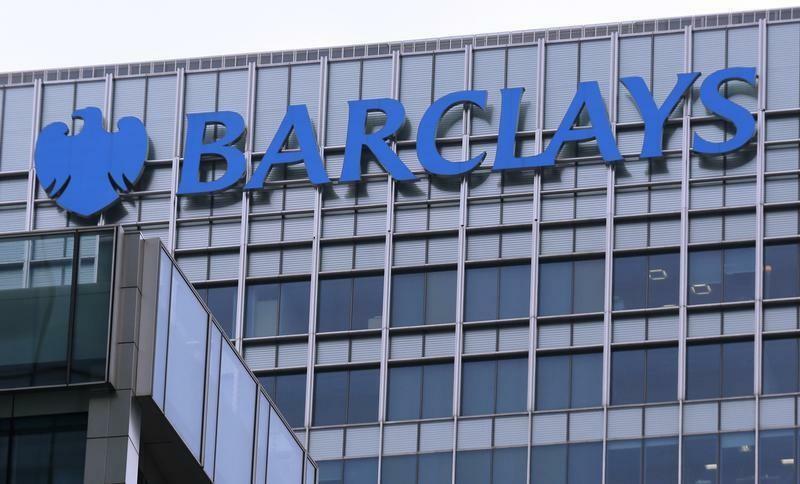 Barclays is the fourth major European bank to change CEO this year, following Deutsche Bank (DBKGn.DE), Credit Suisse (CSGN.VX) and Standard Chartered (STAN.L) as investors grow impatient with low share prices and stubbornly high costs. McFarlane said this week that the market for bank bosses had been "well trawled" as a consequence. "We're not going to move quickly on this," he told reporters on a conference call after the ousting of Jenkins. "These things take time. It gives time for the internal people to show what they can do and it gives time to identify thoroughly the (external) people that haven't been identified in other searches," he added. Barclays Finance Director Tushar Morzaria is the favourite to succeed Jenkins. If he is chosen McFarlane may want to work alongside Morzaria as executive chairman for a substantial period to speed up the bank's turnaround plan. Other candidates could include Morgan Stanley (MS.N) executive Colm Kelleher or Australia and New Zealand Bank (ANZ.AX) CEO Mike Smith, industry sources said. If Barclays opts for an external candidate it could take up to a year for the new recruit to take the reins, depending on the conditions of their current contract. McFarlane, who became Barclays chairman in April, is assuming executive duties until a permanent successor is in place -- similar to what he did at UK insurer Aviva (AV.L) in 2012. On that occasion he was executive chairman for eight months. One of the key tasks will be to accelerate changes to Barclays' investment bank, expected to be further slimmed down to cut costs and improve profitability. The bank played down a report in Britain's Times newspaper that investment bank head boss Tom King would leave the bank by next March. "Tom King is fully committed to leading the investment bank and on the implementation of the operational plan agreed with the board just two weeks ago. There are no plans in regards to Mr. King's departure from Barclays," a spokeswoman said on Friday. King had considered retiring early after a row last month with Jenkins over the scale of cuts in the investment bank, but was persuaded to stay by McFarlane, a source said previously.